Today I want to introduce you to Delilah Cosmetics… a new capsule collection of luxurious cosmetics that are simple to wear and easy to love. Highly distinctive yet timelessly beautiful, the whole delilah range has been created to elevate the experience of using and wearing make-up. Seriously though, how gorgeous do these products look? The stunning rose gold packaging really reminds me of Charlotte Tilbury cosmetics, so it gets a big thumbs up from me! 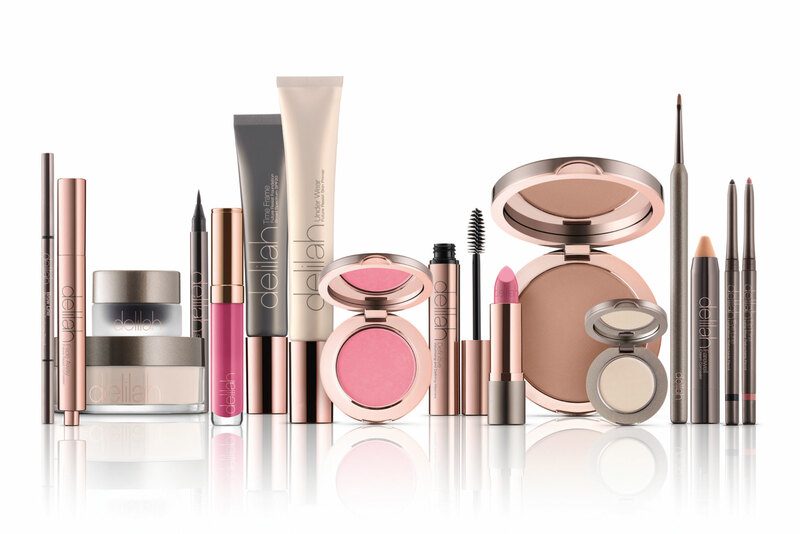 The Delilah range consists of an edited collection of luxurious colour cosmetics, where you can shop by type, e.g. eyes, lips etc, or by solution, e.g. Cover Under Eye Darkness or Create A Sculpted Face. I think this is super handy so you have all the products you need in one place! The team behind delilah include Rupert Kingston, make-up artist and creative director, Hannah Nicholson, beauty buyer, and Juliet White, a photographer. This three-strong team offers the creative vision, knowledge and eye for design that together created Delilah. Born out of friendship, a passion for cosmetics, and the desire to help women of all ages to look and feel beautiful, Delilah has been created as a capsule collection of carefully formulated cosmetics which offers women a touch of understated luxury they can enjoy every day. I cannot wait to get my hands on some of these products, they look and sound simply divine! Next Post Azuni London Jewellery GIVEAWAY! Love the soft shades/tones of these products!